SeaSonic, a world leader in PC and industrial power supply design and manufacturing, announces exclusive sales and distribution cooperation with Wooting, the company behind the world’s first and most advanced analogue mechanical keyboard for the PC gaming market. Seasonic Partners With Wooting for Analog Keyboards. SeaSonic’s global presence and strength in the American and European retail channels provide a strong platform to give consumers better access to Wooting products. The partnership between Wooting and Sea Sonic is a perfect fit. Both companies are the front-runners in their respective domains where their collaboration is strengthened by their core beliefs: innovation, performance and quality. 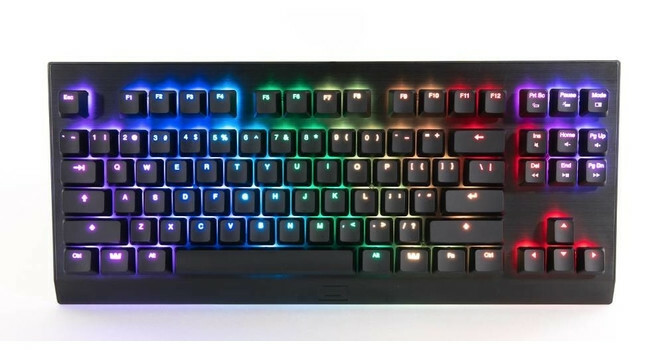 Two years ago, three PC gaming enthusiasts came together and raised over EUR 135,000 on Kickstarter to design, build and deliver the world’s most advanced analogue mechanical keyboard with the goal of making analogue mechanical keyboards the industry standard. Wooting has since cultivated a loyal and active community that swears by this technology. “We feel excited to work together with Sea Sonic. Their global presence, experience and network will strengthen our weak areas as a small company. This allows us to place more focus on the future adaptations of analogue input technology, product experience and our awesome customers.” – Calder Limmen, Co-founder and CEO of Wooting. Since 1975, Sea Sonic has been designing and producing PC power supplies keeping a strong focus on innovation, performance and quality. The company prides itself in many first-to-market achievements while placing utmost importance on being customer-centric in channel development and after sales support. “We believe that by working with the forerunner and the best company behind analogue input technology, Sea Sonic not only supports and invests in technology advancement, but also helps innovation reach a wider audience.” – Vincent Chang, CEO of Sea Sonic Electronics Co., Ltd. Together, Wooting and Sea Sonic present to the public a revolutionized gaming and typing experience and provide world-class support to their global customers and business partners. Seasonic should provide the sales channels and production help that the company may need and help push these out to store shelves.